Do You Need A PowerShot A1200? First of all, if you are planning to use your camera professionally or for commercial purposes, then you are definitely in the wrong place. You will need something a little more advanced, especially if you are planning to print hard copies of a large size. However, if you are looking for a compact everyday point and snap camera with a good mega pixel resolution along with some decent features at a compatible price, you are in the right place. 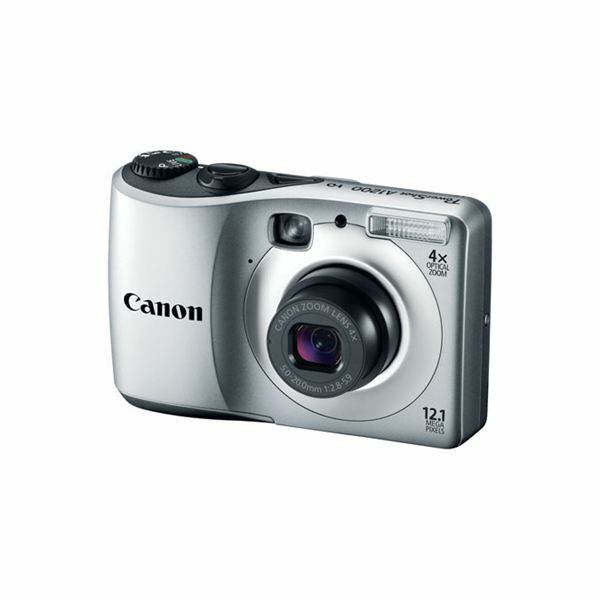 The Canon PowerShot A1200 is among the compact line of cameras released by Canon, and you may realize that these PowerShot cameras are pretty much made with the same design. So far, this particular model is only available in black and silver – but hey, these colors are universal and should fit in with anyone’s sense of style. I would personally go with the black. As with the rest of these PowerShots, the A1200 has its power button on top and a wheel type button that can be used to adjust picture modes. You are also able to control the 4X zoom with the snap button which is situated on the top right of the camera when placed in a position to take a picture. On the back of the camera, beside the 2.7 inch LCD screen, you will find more buttons that allow you to make adjustments for the perfect picture every time. The buttons include: face detection, function settings, display settings, playback and a menu button. 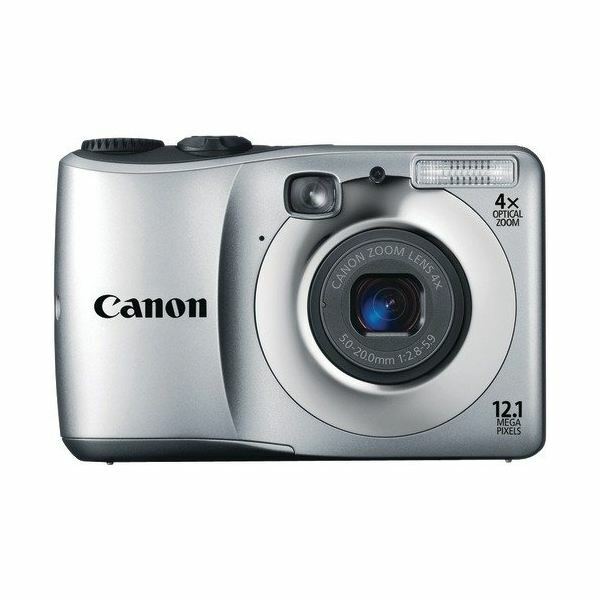 The PowerShot A1200 is a 12 Megapixel digital camera with 4x zoom and wide-angle capabilities. Its LCD screen is pretty much standard for all the PowerShot cameras at this level at a measurement of 2.7 inches. One of the features that make this small camera a really good choice is the fact that it is able to shoot High Def videos which was previously not an option that you would find on entry-level cameras in the same price range as this one. Like with the other PowerShot cameras, the A1200 is equipped with the Smart Auto which aids you in selecting the right camera mode for your picture. You can receive further aid in this regard by utilizing the Scene modes to ensure that your pictures reveal the best possible angle and quality. The camera also has tracking focus which minimizes blurriness if you are taking pictures of moving targets, or if you are moving. Additionally, you can opt to use the view finder rather than the LCD, so that you can hold the camera a bit steadier when it is closer to your face. For those of you who have no idea what I meant by the above statement, let me clarify. 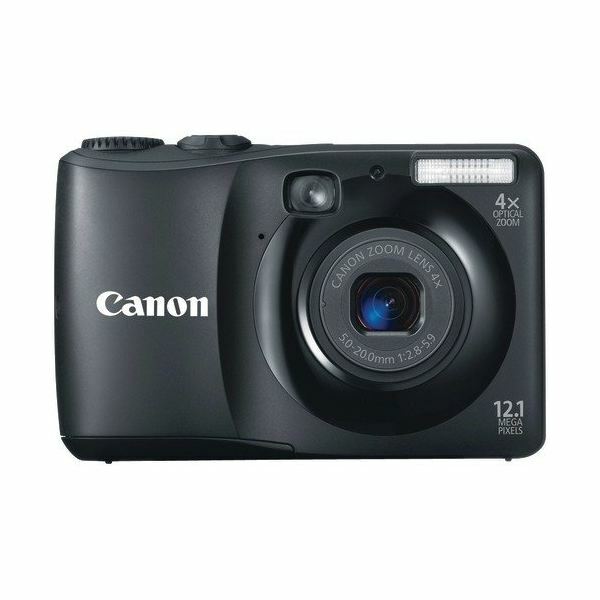 The Canon PowerShot A1200 is one of the few cameras in this price range that you can find with both a view finder as well as the LCD. The LCD is the screen that you use to view and playback, but I’m sure you already knew that. The Viewfinder is the “peep hole" that is generally found on older model cameras that allows you to hold the camera up to your face and look at a magnified view of your target. This was the normal way to take pictures before the digital camera era with LCDs. You are probably wondering why such ancient practices would be considered a “feature." Well, the truth is that when you use the LCD, you have to hold the camera out a bit in order to view the screen properly, then try to angle a certain way to capture the target of your photograph in its entirety. With outstretched hands usually comes the shake, and although your camera has features to counteract that issue, you will probably get a better picture if there wasn’t an issue in the first place. On the other hand, when you hold the camera directly up to your face to use the view finder you will tend to have steadier hands and less blurry pics. The A1200 has Auto Red Eye correction that attempts to remove red eyes in your photos that may be caused from flash and it also has a few other features that you can use to spice up your photos. 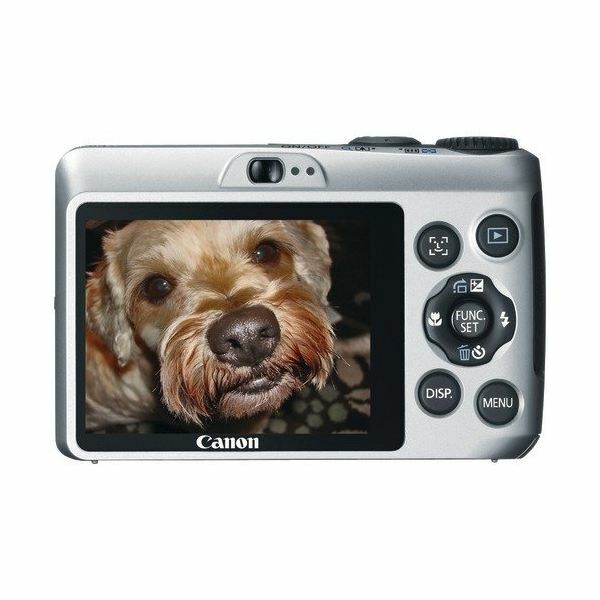 This PowerShot camera uses regular AA batteries which are always easy to come by. The PowerShot A1200 has all the right buttons and features, and they are very easy to use once you become familiar with what is available to you and which buttons to use. All of the standard buttons that you expect from a LCD digital camera, such as: power, snap, menu, play, etc., can be found easily, so it is pretty easy to use. Where this camera has some issues would be the performance sector. It is a 12 Megapixel camera, so you expect great quality pictures which you do get…in the day time. Once you are within an area that is not exactly luminous, or if you are taking pictures at night, you will find that the quality of your pictures is not so great anymore. They can appear a bit fuzzy. The camera has flash, so you would expect that the low light situations can easily be rectified, but sometimes the flash makes your pictures look extremely white and often times the target of your photo is no longer clear. Another issue with this camera is that it is not made to “snap snap snap" on rapid because it takes a little time to save your picture and be ready again for the next shot. So don’t be expecting your camera to give you a play-by-play. Ok, now even though it seems as if I was ragging on the camera, you should know that I still think that it worth a try. Given all of what you have read above, you are probably still not sure whether or not you should get one of these cameras. If you are looking to take professional cameras on a play-by-play basis, then keep looking. If you are simply looking for a personal camera to take pictures of family and friends, then this is not such a bad choice. It is loaded with features that you may not find on another entry level camera, especially at the price that you can get this for. I have seen it on Amazon for as little as $129.00, and for that price, you could do much worse.